Well i don’t know if Bennie McCarthy is the right player to save Bafana Bafana’s dreams for the 2010 World Cup but i heard that CJ vd Linde is injured so maybe this is the right guy to go and save the Boks at prop. And if it is starting to going bad in the kicking department he can also sort the kicking out. Looking at the next photo you will see that Bennie can still jump so maybe he can also sort out the line-out out if there might be a problem om Saturday against Italy. I’m telling you this is the guy for tight head prop………..just a joke, i think he is still a very good player. Maybe 15 kilos lighter and he can safe Bafana Bafana as well. 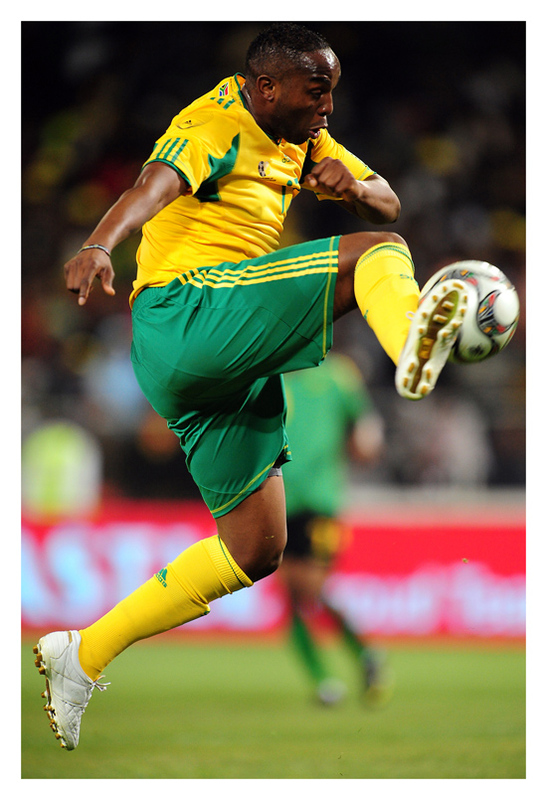 Photo taken on 17 November 2009 when Bafana Bafana played Jamaica at Vodacom Park in Bloemfontein.